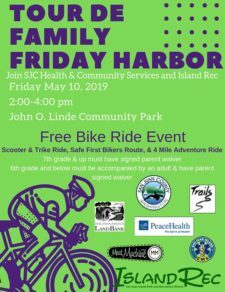 Tour de Family – Friday Harbor is the Third Annual family bike ride for all ages, coordinated by San Juan County Health and Community Services and Island Rec. We have a trike/scooter route, a safe ‘first biker’ route, and an adventure route for those wanting a safe and easy open road ride. 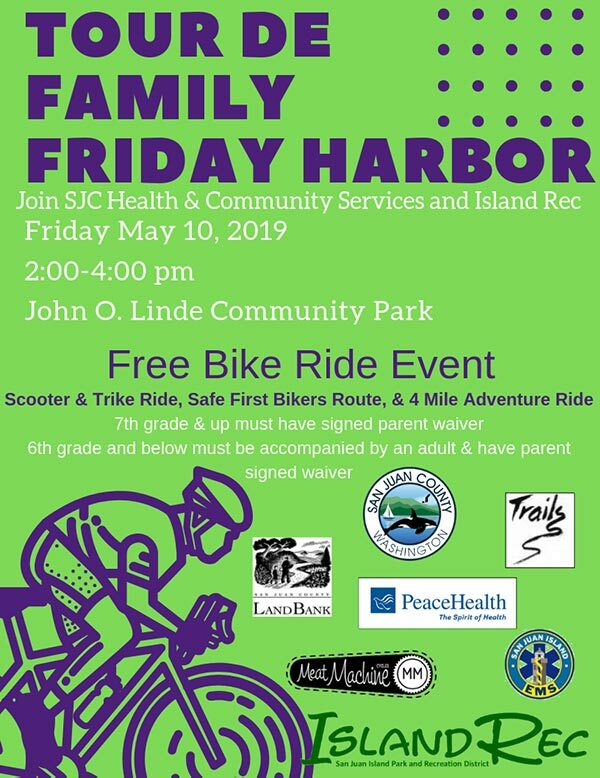 It is located at John O. Linde Community Park and is on Friday, May 10, from 2:00 to 4:00pm. This is a FREE event. All Ages welcome, 6th Grade and lower must be accompanied by an adult, 7thgrade and above, no adult required. All kids under 18 must have a parent signed waiver to participate. 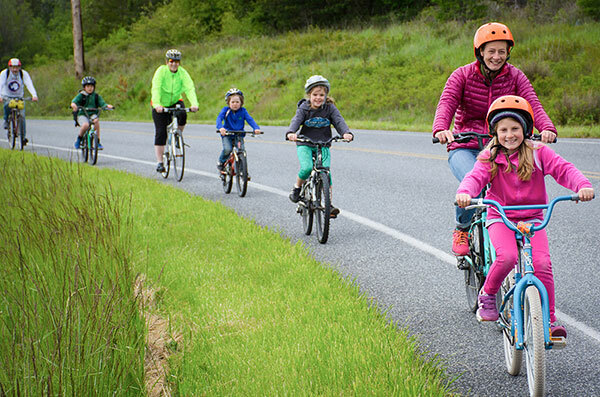 Also – don’t miss our Shaw Family Bike Ride this summer, happening on July 13th.